When you delete a file, it doesn't actually go away--even after you've emptied the Recycle Bin. The actual bits remain written on the drive until some other disk activity writes over them. Even when you format a drive, the files are still there for those who want and know how to read them. 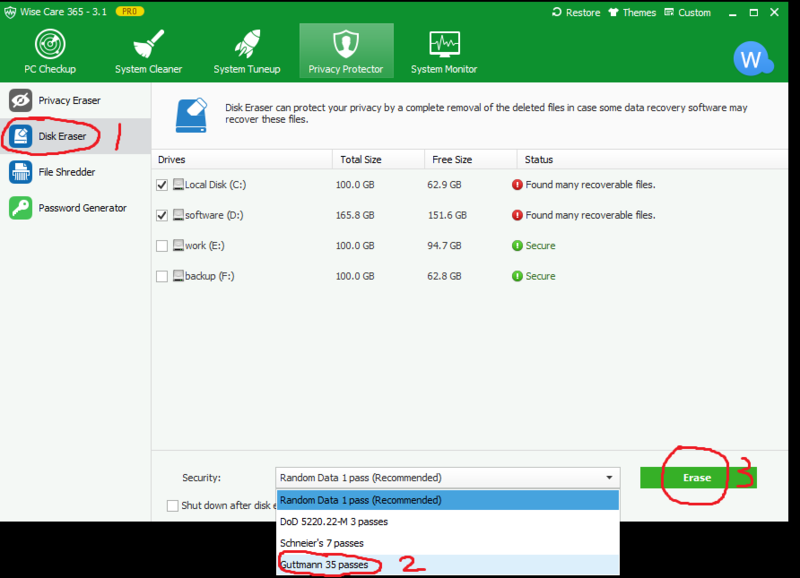 If you want to truly and securely delete a file, or the contents of an entire drive, you need software that will overwrite the space where the file(s) once sat. Fortunately, several free programs can do this. 1. I recommend the File Shredder feature built in Wise Care 365, choose any file or folder you want to delete forever and click Shred in the lower right corner. 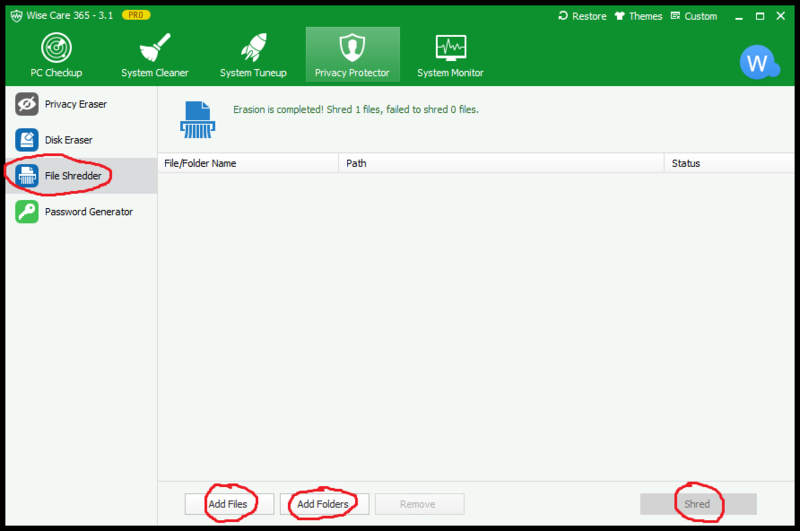 "File Shredder" shreds files compulsorily and thoroughly on your disk by overwriting the original file locations to prevent shredded files from being restored. So rest assured, the deleted files will not be recovered by any data recovery tool. 2. 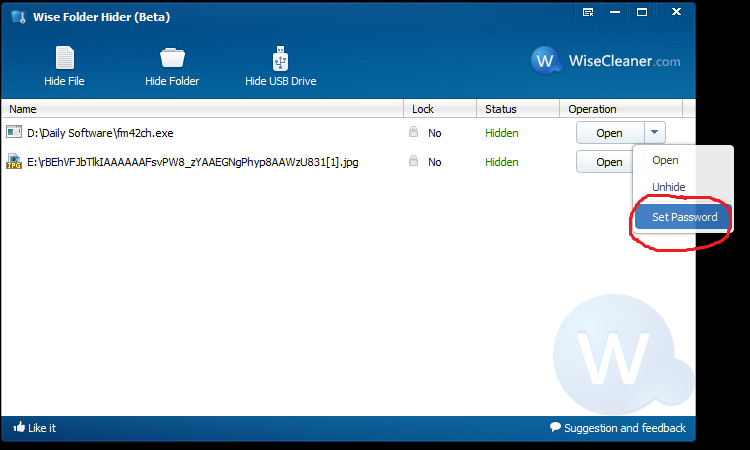 Delete the files the conventional way, empty the recycle bin, then use Disk Eraser feature in Wise Care 365 to overwrite your drive's free space. This extremely useful tool can do all sorts of Windows scrubbing chores. Both of these programs offer various wiping techniques that overwrite the drive space. The implication, of course, is that overwriting a file 35 times is more secure than overwriting it only once. 3. If you have sensitive files that you'll eventually want to stay away from the prying eyes, you can encrypt them. 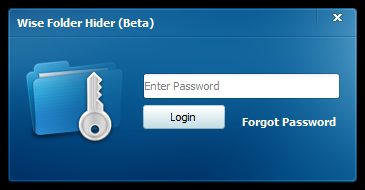 I recommend the free Wise Folder Hider, better yet, you can set a second password for each file or folder to make them double secure.